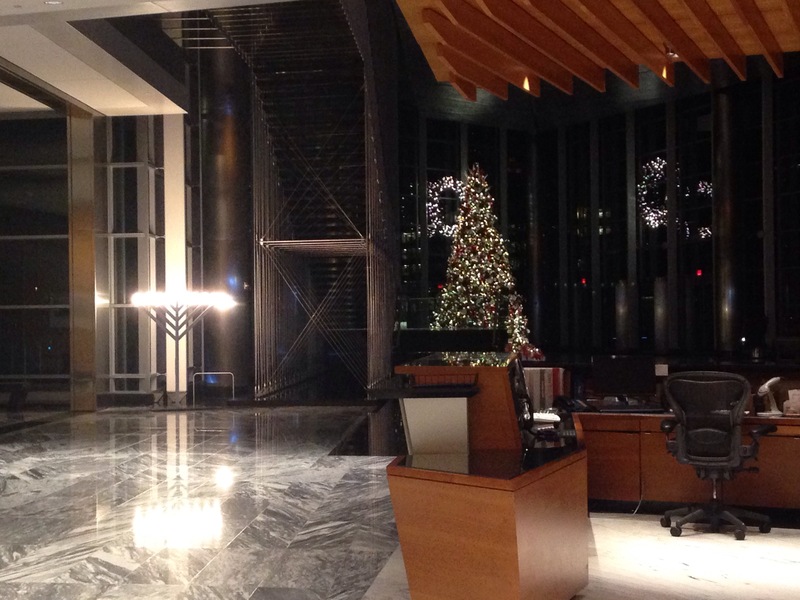 This is the TEGNA/Gannett (soon to be USA TODAY NETWORK) headquarters lobby in McLean, Va., on Sunday, Dec. 13, 2015 with its holiday decorations. The picking of the gifts, preparing things for unexpected guests, wrapping items ahead of time and at the last minute — even shopping Christmas Eve (if I have to). People seem to smile more at the malls and on the streets during this time. The joy is palpable — for the most part. There are things that have threatened my love of this season, but I realize that that love endures. Thanks to TRUE friends and loved ones I know that this season is not seasonal, but an everyday spirit. I want to be sure to recognize the things that help make this season of gratitude as wonderful as it is to me. So today begins my “12 days of gratitude” that I will blog about. I appreciate you all and look forward to sharing some common, unique and perhaps quirky items with you leading up to Dec. 25. Smooches and see you tomorrow.